Con este pueblo, Con este Pueblo! / With those around us. "#TimesUpWendys. Join the fair food program. It's the right thing to do." I send my deepest love and solidarity to the courageous women farm workers who are fasting for dignity and respect in their workplace, and justice for those who continue working outside of the protections of the Coalition of Immokalee Workers' groundbreaking Fair Food Program. Wendy’s has an obligation to join the Fair Food Program and treat their workers with respect and dignity - no woman should have to endure sexual harassment and assault in the workplace, no woman should be overlooked and silenced. We demand justice for farmworker women and call on Nelson Peltz, who has the power to end sexual violence against women in Wendy's supply chain and yet remains silent. In the wake of unprecedented change that is sweeping the country your refusal to act in the best interest of women farm workers is a glaring crime. Keep going, brave, beautiful women. I am with you, and all of us at V-Day and One Billion Rising - countless activists around the world - stand with you today, rising in the name of justice for all women workers. The struggle against poverty and for freedom must be led from the ground up, and the farmworkers of the Coalition of Immokalee Workers have been some of our bravest leaders these many years. I join the Fast for Freedom because I believe we need a fundamental shift in our nation’s moral narrative which places the lives of workers and the dispossessed at the center. The CIW’s Fair Food Program has given workers a real voice in the decisions that affect their lives. With that voice they have transformed the agricultural industry where they work – eliminating slavery, violence, and sexual harassment in fields — where these abuses have persisted for generations. Wendy’s refusal to support the Fair Food Program — and worse yet, to abandon growers who are doing the right thing to buy from an industry in Mexico — where they know sexual assault to slavery continue to thrive with impunity — is the very definition of amoral and unacceptable. We in the faith community stand in full solidarity with farmworkers, the people who grow our food and sustain us--- and yet lack basic worker rights and protections, a living wage, dignity and respect. We will stand with them until they have won their full rights and an end to their exploitation: "Justice, justice you shall pursue!" As the oldest established anti-human trafficking network in New York, the New York Anti-Trafficking Network supports the CIW's inspiring and effective campaign. The Freedom Fast demonstrates a keen understanding of the environments and systems that perpetuate the exploitation of workers and lead to human trafficking. We support CIW's efforts not only to address trafficking but to create systems of accountability that actually prevent human trafficking in the first place. As organizations and as individuals, we stand in solidarity with the Coalition of Immokalee Workers. They said it was impossible. They said you’d never do it. They said you didn’t matter. But you proved them wrong. You have shown all of us what the word “commitment” really means. The journey has been so long, only you from Immokalee know how long and how hard it has been. After days of hard work in the fields you have attended meetings, participated in protests, marches, taken journeys far from home. Leaving your children, or bringing them with you, you continue facing long days, harsh weather, hunger, and bone-tired fatigue. When asked, “Estas cansadas?” you reply, “”Que es eso!” Then, you continue. What have you achieved? The Fair Food Program has brought the New Day to farmworkers and a model for other workers to follow in achieving justice, amazing victories only you, perhaps, thought were possible. But even more, you have changed the hearts and minds of former adversaries — grower and buyers — along with the hearts and souls of your allies. You have enabled us to experience a new consciousness, an inner need to be connected and to work together for lasting change. You have welcomed us as allies to join with you, to learn from you, to gain strength from you, and to find joy in our togetherness. I look forward eagerly to many more days of standing with you for justice and holding all of you in my heart with affection and wishes for a bright future. Les mandamos nuestro apoyo desde el estado de Maine. Queremos que sepan que aunque no podemos estar en presencia con ustedes estamos apoyando la misma causa que ustedes están luchando por esta semana. Sabemos que entre más gente se una más podremos lograr. Desde aca los apoyamos con oraciones y pensamientos! The work you are doing to protect the people who provide us all with our food is extremely important. These people deserve the working conditions that are fair, just and dignified. Thank you for your work protecting these men and women who are so important to our ability to have food. I am fasting with you from Oakland, California. Ministry, including Julie Taylor who has been with you this week. and Nelson Peltz hear and respond to your request! May God bless you deeply, on this and every day!! 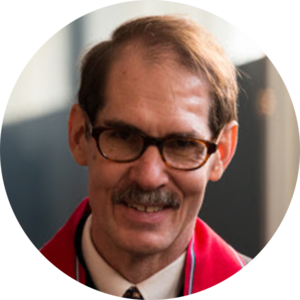 I write to express the strong support of our Disciples ministries for your Freedom Fast. We applaud the courage of fasters and supporters as you continue to urge Nelson Peltz of Wendy’s to join the Fair Food Program, in order to help end sexual violence in the fields for farmworkers. The Christian Church (Disciples of Christ) remains grateful to stand in partnership with you to support the boycott of Wendy’s until the time when Mr. Nelson Peltz and the company agree to sign on to the Fair Food Program. We stand in solidarity with your goals as farmworker leaders, and with the Coalition of Immokalee Workers and the Alliance for Fair Food, as you seek fair wages and safe treatment of farmworkers. We remain grateful, also, to serve as a long-term and founding partner with the National Farm Worker Ministry, which likewise supports the goals of the CIW and other farmworker led groups seeking justice for those who grow the food we all eat in this nation. I wanted to somehow find a way to engage and be in solidarity with you all during the freedom fast since I could not be there for the actual event as I live out in San Francisco, CA. So here’s what we did: on March 8, on Women’s day, I put together an event inspired by a desire to get more people introduced to the CIW and the incredible work you all are doing. First, a few of us fasted all day in solidarity with the women and men who are fasting this week for the freedom fast. We prayed together over both the actions being taken this week and the organization as a whole and our food system. 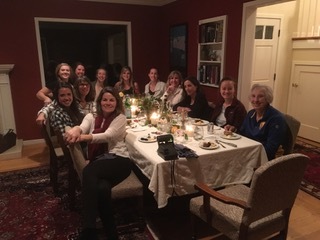 Then that evening we broke the fast when we gathered a group of women of all ages from our community and we shared in a lovely farm to table meal celebrating women’s day together. Before the meal I shared a bit about the CIW the work you are doing and we watched some videos online to give a more detailed look at the work you are doing. Then we discussed over dinner and concluded our evening signing the Wendy’s boycott letter and I provided the women with some resources to go deeper if they desired and to take action/donate. It was a very sweet evening and especially neat to bring these women on board with an issue that was new to them. We found that it felt so appropriate on a day designated to celebrating the accomplishments of women throughout history and pressing ahead into striving for more - to get to share about some women (and men) who are engaged in a fight for justice equality, a story of success that is particularly hopeful and a group of women who’s work is worth celebrating. It was a small action, but I am excited to see where the seeds go for these women. I am so inspired by the work you all are doing in the realm of fair food and justice and I am constantly sharing about the CIW with my friends family and community - anyone who will listen really. Thank you for your passion for justice, I pray that this week is a beautiful and powerful step in this fight and for protection and joy over all those engaged. As someone who has visited Immokalee twice, I am blown away by both the conditions that the field workers live in, and the amount of progress the CIW has made by creating and implementing the Fair Food Program. Although I am not able to make it to New York City, I send me good luck and donation in order to fully stand by what is right. With the one on one interaction I've had with the field workers, I am able to really sympathize with their struggles just to survive. They lay the foundation for all of our produce resources, not just tomatoes. Hard work should be able to compensate with fair wages, and a respectable work environment. It has been evident that slavery and sexual abuse are unfortunately part of the struggles that many field workers have dealt with in the past and in current time. With this march, I hope that Nelson Peltz, CEO of Wendy's is able to bring his productivity and resources back to the United States by signing on to the Fair Food Program which guarantees both higher wages for the field workers and a safe employable environment. It is important that we acknowledge that these farm workers come to the United States for a better life, and many of them work for their families. They need to be protected at all costs. With this letter and my donation, I fully stand by our message. The journey is treacherous, but with our strong beliefs and with our courageous actions, we are able to make a significant change in the lives of many. Thank you, and good luck with the march. On this day of action across the country, I want to encourage and uplift everyone who is fasting to end sexual violence in the fields. Your week of fasting is NOT going unnoticed. I stand with you and the CIW and the Freedom Fast. Your week of action is inspirational and I will take your message to my students--college students who are just beginning to learn about the violence and injustices that take place in the fields that grow their food. Stay strong. Stay warm. In solidarity! As I think of your hard work and struggle today, I'm re-reading Martin Luther King, Jr.'s telegram to Cesar Chavez about his fast and attach it here as it expresses my feelings more eloquently than I ever could. Thank you for your brilliant leadership and for placing your bodies on the line in this important fast, just as you do every day when you work to produce the food that benefits all of us. I owe you a debt of gratitude and I salute your courage and creativity. You are a bright light leading the way toward racial, gender, and environmental justice, and economic equality across communities and across nations. I extend the gratitude and prayers of the Presbytery of New York City for your witness for justice on behalf of farmworkers, particularly women farmworkers. We support your protest of the ongoing sexual violence and other human rights abuses workers face in Mexico’s produce industry where Wendy’s currently buys its tomatoes. We affirm your call Wendy’s to join the Fair Food Program that provides protection to workers. Recognizing that sexual violence and human rights abuses violate the image of God in which all people are created, Presbyterians in New York City and across the United States have followed the lead of the Coalition of Immokalee Workers in the effort for increased wages and human rights protections for almost 20 years. In response to requests from the Coalition, Presbyterians have provided funds, written letters, attended rallies, advocated with corporate officials, marched, and fasted. We give thanks for the successes of the Coalition in creating the Fair Food Program – a program that extends to three crops in seven states – a program in which grocery stores, food services, and all the major fast-food chains participate. Except Wendy’s. Join the Fair Food Campaign. End sexual violence in the fields! As you bring the message, “Time’s up Wendy’s”, Presbyterians stand with you. On March 15, Presbyterians will march with you. Our partnership will continue until the message is heard and Wendy’s joins the Fair Food Program and its principles are implemented and sexual violence in the fields comes to an end. May it be so. And swiftly so. The Presbytery of New York City consists of 93 congregations and 11 new worshipping communities and fellowships, located in all five boroughs, with over 13,000 members. The Peace and Restorative Justice Community of the Church of the Holy Trinity (Episcopal) on E. 88th Street affirms its long-standing commitment to all farmworkers in their struggle to be paid fairly and treated with dignity. It is immoral that the people who grow our food are the poorest, hungriest, and most unfairly treated of our workers. We demand that the food that feeds our bodies be grown in ways that also nourishes our souls and feeds and respects the persons who grow it. Acts of piety—prayer, fasting, and almsgiving—are also acts of justice. When we fast, we re-set our individual compasses toward God. This week, we also do so as a sacrifice and prayer for justice for the farmworkers of CIW. The Disciples Justice Action Network (DJAN) enthusiastically endorses the March 11-15, 2018 “Freedom Fast: Breaking Our Silence to Stop Sexual Violence in the Fields,” sponsored by the Coalition of Immokalee Workers and the Alliance for Fair Food. DJAN’s support of the Freedom Fast is rooted in its Judeo-Christian faith-based conviction that all human beings are made in the image and likeness of God and are therefore full of equal dignity and worth. It is abundantly clear to us that the ministry of Jesus Christ upheld the dignity and worth of victims of systemic oppression and modeled values and actions that were visibly strenuous in their opposition to the mistreatment of the most vulnerable members of the human family. As we painfully consider the long, tortuous history of sexual violence inflicted upon field workers, human beings whose labor produces most of the food that is consumed in the United States, DJAN stands with other organizations in expressing outrage over the continued sexually dehumanizing conditions that these vulnerable workers are forced to accept in exchange for access to income-producing employment that supports their families. to end the silence that aides and abets sexual violence in the fields. We believe a fast of this nature has the power to draw adherents closer to God and supply them with holy power to fight for justice, in the name of Jesus Christ. The farmer, fisher and rural organizations of the National Family Farm Coalition (NFFC) stand in solidarity with the farmworkers and allies of the Coalition of Immokalee Workers during their five-day Freedom Fast. Farmers and laborers have a long history of working together for fair wages, fair prices and dignity across the food chain, despite past attempts by corporate interests to minimize and fractionalize this integral relationship. As in years past, NFFC joins the Immokalee Workers' call for Wendy's board chair, Nelson Peltz, to take the long overdue step of joining CIW's Fair Food Program to end sexual violence and other human rights abuses in its tomato supply chain. I hope this message serves as a reminder to you and all those participating in this week's boycott, that you have support from people all over the country. We hear you, we see what is happening and we are sharing your story and responding to your call to stand up against the injustice in our food system. Thank you for your bravery in leading the change for a future of equality and justice. With deep respect & support. I got involved with the Boycott Wendy's movement about a year and a half ago. I am so inspired by all of you out there standing, acting, fasting, and making a difference. Wendy's will listen over time. We want to bring justice to farmworkers through eradicating sexual violence in the fields. We want to be heard and recognized by Nelson Peltz, but we don't need his validation; together we have strength, perseverance and creativity. I am fasting alongside you, in solidarity, for 4 days from Florida, and I hope to raise awareness and attention on my campus. Stay strong and thank you for everything you are doing! Project South stands in active solidarity with the Freedom Fast organized by the Coalition of Immokalee Workers (CIW). CIW has worked tirelessly for years to transform the conditions of farmworkers in the Florida fields. Their organizing work brings people together, and educates the public about unfair wages, sexual assault, and other human rights violations. Their organizing also shows the power of collective action in 21st- century movements. The groundbreaking Fair Food Program is a powerful and visionary call for corporate accountability in the fast food industry. Their strategy contends with the power of business owners directly rather than fighting for policies and regulations that can be changed with every election cycle. The vision and strategy of the Coalition of Immokalee Workers is a model for so many of our social justice organizations and movements across the country. The success of their organizing is clearly represented by the long list of partners of buyers and growers who participate in the program, including Whole Foods, Chipotle, Burger King, and Walmart. #TimesUp for Wendy’s! Project South supports the Wendy’s Boycott and the Freedom Fast. We join with the rising movements to end sexual assault in all workplaces, including the tomato fields! We join with the rising immigrant justice movements that demand dignity for all people living and working in the United States. And we join with workers’ movements all over the South, from the teachers in West Virginia to the farmworkers in Florida, to demand an end to exploitation and a new day for human rights. We call on Nelson Peltz, the Chairman of the Board of The Wendy’s Company, to comply with its responsibility to working people, to women, to families, and to the consumers who believe that our food should be grown, picked, distributed, and prepared with fairness to all involved. Join the Fair Food Program today. In solidarity and commitment to collective action. Thank you for dedicating these past few days to taking a stand against sexual violence. It is because of dedicated people like you that I know that as long as food providers decide to disrespect human rights, there will be a group that demands a change. Everyone deserves to feel safe and secure at work. By refusing to sign on to the fair food program, Peltz demonstrates that he does not value the rights and safety of workers. Should no one hold him accountable, should no one make a statement, his attitude becomes normalized and acceptable. Your action, as part of the CIW and as an individual who values human rights, demonstrates that Wendy's position is not acceptable. These past few days, you and your fellow fasters have demonstrated that this cause is serious enough that citizens from all over are willing to go hungry in order to stand in solidarity with farmworkers. Surely these past few days have been challenging, but I know it is a challenge you chose because you know how much more people suffer when human rights are not respected in the workplace. I admire your determination to stand by the cause. On this last day of fasting, take time to relax and reflect on what you have felt and learned through this experience. I hope you share your thoughts and hopes and dreams with others. All of those in the Fair Food community are here to listen and share and learn together as we work towards a just system. Wendy's will not be an example for others to follow! Your effort has been a tremendous part of demonstrating to Peltz that food providers have a responsibility to respect human rights. We, the Sisters of St. Joseph of Nazareth, believe in justice: fair wages and an end to sexual abuse and harassment in the fields for women, children and men. To all who are gathered on the streets of New York City, we stand with you on behalf of fair wages and an end to harassment in the fields where so many thousands of women and men labor to bring food to our tables and to the Wendy's restaraunts. We pray for your strength to keep faithful to the Fair Food Program and for standing up to the powers of Wendy's. This week we have been standing with you in thought and prayer. You are our brothers and sisters and your Word To Power is our word to power. We pray that you will soon hear from Nelson Peltz, board chair of Wendy's. May we be and live as one, brothers and sisters of a God who is all love. Women farmworkers are especially vulnerable to exploitation. Sexual violence, wage theft, and forced labor are common practices that threaten and ensure low costs and workers’ high productivity. Women often have no avenues of reporting abuses in the workplace. If women do speak up, there is a high risk of losing their jobs; therefore, causing many to remain silent. These abuses are often endured due to limited economic opportunities, and the need to provide for their families. We strongly condemn Wendy’s for their blatant disregard for the rights and safety of women farmworkers. Workers protections and accountability are evaded when they outsource their labor and supply chains to Mexico. Wendy's continues to exploit workers for their corporate greed. This is unacceptable, and time is up! Let us take action and ask you stand in solidarity with GABRIELA NY as we join the Freedom Fast with the CIW. Together we rise against the exploitation of women workers, resist imperialism and neoliberalism, and unite for the liberation of workers around the world! Farmworkers deserve to be paid fairly for their labor, which feeds us all, and to be free from harassment and abuse in the fields. Wendy’s continues to ignores calls for justice in pursuit of higher profits for its shareholders and executive officers, as it pits workers against each other across the US-Mexico border. I stand in solidarity with farmworkers as they fast and demonstrate their commitment to this fight that we can win together. illusions: crops with no yield. I know the struggles of my sisters fight. The Community of Living Traditions is a multifaith intentional community of Jewish, Muslim, and Christian members who work together for justice and peace both locally and globally. In the past few years we have had the privilege of welcoming members of the Coalition of Immokalee Workers and the Student Farmworker Alliance to the campus of the Stony Point Retreat and Conference Center where the Community of Living Traditions is in residence. In a recent community meeting, we engaged in conversation about the significance of fasting in our distinct faith traditions. We recognized that fasting holds a prominent role in the living out of our faiths. There are particular times and seasons that call on us to observe this faithful action: for Muslims, Ramadan, the holy month of fasting; for Christians, the season of Lent; for Jews, the six minor and major public fast days in the annual Jewish calendar. We share this reflection in gratitude that you have called on us to fast with you as sympathetic and trustworthy allies. We will pray and we will fast alongside you until Wendy’s comes to the table, until farmworkers can harvest without threat of violence. I am writing to express support for those members of the Fair Food Nation who are participating in the Freedom Fast this week. Put simply, Mr. Peltz and Wendy’s Corporation have prioritized profits over people. They expect us to take their word about human rights standards in their supply chain, despite clear evidence of scandalous working conditions on commercial farms in Mexico. The world is changing. People now want to know about the high cost of cheap food. By going without food this week you are putting Wendy’s on notice that they are on the wrong side of history. Unfortunately, I will not be able to attend the protests in New York City, but I will be fasting along with you and praying that your actions and those of the rest of the Fast Food Nation will touch the hearts of Mr. Peltz, his management team, and Wendy’s investors. Thank you for your vital contribution to the global struggle for dignified and just farmworking conditions, and for an end to sexual assault, harassment, and abuse in the fields. Your work is helping to magnify the CIW’s campaign, and I hope you recognize how important your role is in this historic moment for farmworkers’ rights. I and everyone who supports the CIW’s cause are so inspired and energized by your strength, determination and will to do what is right. I am sending solidarity from outside the country! La lucha sigue! Wendy’s, el pueblo unido jamás será vencido!